Topic of the Week: Has CitizenCon 2015 changed your opinion of Star Citizen? Star Citizen’s ambition is both its biggest asset and its biggest cause for concern. I’ve been cautiously following its development since the game first pinged on my holographic space radar, wondering if it will ever realise its ambition and reach the stars, or whether it will just burn up as it comes back down to Earth. Did you know Star Citizen’s pace of funding has accelerated, powered by new backers? Don’t get me wrong, I’ve always wanted Star Citizen to succeed, but the things it’s trying to accomplish seem like they’re plucked from a dream. It’s so crammed with features and ideas that one wonders whether it will ever be finished. At least, that’s what I wondered. Many of those concerns have been laid to rest, however, since watching this year’s CitizenCon livestream. Seeing the opening of Squadron 42 and getting a look at some of the veteran acting talent, including Mark Hamill, Gillian Anderson and Gary Oldman,has convinced me the world is going to be convincingly constructed, if nothing else. If Foundry 42, the team behind the game’s campaign, can come up with scenarios that take advantage of all the aspects of Star Citizen – rather than pushing you through a spacey corridor – Squadron 42 could be incredible. And that’s just a portion of the game. What really sold me on Star Citizen was the alpha 2.0 demonstration. It was slow paced, but Cloud Imperium Games managed to showcase all the facets of gameplay, from flight to ground combat to zero-G jetpacking. And I quite liked the pace. Games with constant action are fine, but action can feel so much more exhilarating when it suddenly punctures a moment of calm. Think of an unforeseen firefight breaking out when slowly patrolling in Arma 3 and you’ll know what I mean. Action is best when it has something to contrast against. There’s plenty of scope for spectacle, too. Imagine accidentally jumping out of warp in a personal ship only to come face to face with a massive dreadnought. Potentially you could turn off your engines and sneak away, or launch a surprise attack. Maybe you could float to the outside of your ship and try and sneak aboard using zero-G flight. Who knows. There could be some truly inventive ways of resolving conflict. The systems are there, it just needs to be presented in a way it can create this sort of scene from player-led, emergent moments. So that’s what I think. Now I want to know what you lovely lot think. Did you always feel it was going to be special? Perhaps you think it’s doomed to failure. Maybe you’re like me and you were cautiously optimistic before seeing the project finally start to come together at CitizenCon. 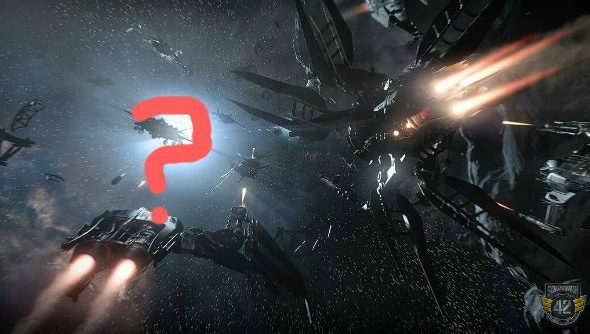 Whatever you thoughts – as long as they’re about Star Citizen – we want to know them. The comments are yours, Commander.